When you become a blogger you move into the role of content creator and media publisher. 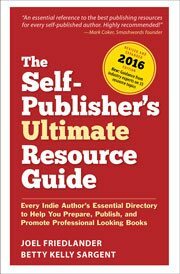 As a publisher, you need to establish a posting schedule and stick to it. After all, when you ask people to subscribe to your blog, most people like to know what’s coming up or what to expect. And meeting that schedule will go a long way toward establishing trust with your readers. Your next challenge is doing it on a regular basis. Sure, when you’re a new blogger it seems pretty easy to create 2, 3 or 5 new articles a week. But what’s going to happen 6 months from now? Is the enthusiasm you have now going to carry you all that time? 6 months of articles at 3 per week is 78 articles you’ll have to come up with. It’s starting to sound like a lot of writing, isn’t it? But if you’re like most of us, the most difficult part of sticking to that schedule isn’t doing the writing: It’s figuring out what to write about. Trust me, there’s going to come a day when you realize you need an article to post to your blog tomorrow, and you feel like the bottom of an old streambed. Dry, dry, dry. You stare at the screen, wondering how all those other bloggers seem to be able to crank out posts day after day. Every post seems to have a reason for its existence, an enthusiastic audience, and lots of meaty content. All you’ve got is that blank screen. Don’t despair, there is help. On a recent flight I pulled out my iPad and started a mind map about a topic I’ve been wanting to blog about. I love using mind maps when I’m at the conceptual stage of writing an article. There’s nothing that helps me organize my ideas as quickly and efficiently as well as a mind map, and I highly recommend you check them out. This article was written from a mind map developed in iThoughts HD, my favorite iPad mind mapping program. How do you know when your new blog is ready? This thought had stuck in my mind when I was working on the Hub & Outpost Method of Social Media Marketing webinar. It seems to me that the best hub to use when you venture out into social media is a blog. But you don’t want to be sending people to a blog that’s not ready for visitors, do you? I put that question at the center of my mind map. Next I just started to free associate about the things you need to have on your blog to get started. I created a branch on the mind map for each item that occurred to me that you would need for a blog to be “ready for visitors.” Most of them are common sense, like what plugins you need, having subscriptions available, and collecting email names with an opt-in form..
You can do the same thing without a mind map, by the way. Just use an outline instead. Both outlining and mind mapping lend themselves to developing hierarchies of information, or “branches” of items as you develop the details of your idea. For instance, under “Plugins” I started to list the different plugins you really want to have on your WordPress blog when you get started. Under “Customization” I listed the different ways you could do this quickly and at little to no expense. And under “Opt-in” I added a sub-list of 2 items: “picking an email provider” and “offering a freebie”. Just putting in words like this isn’t like writing at all, it’s a completely different activity, and kind of fun. After all, all you’re doing is making a list. How hard can that be, right? By the time I was through I had 9 items like this, each with their own sub-list of items. The whole thing took about 20 minutes. What I had was the outline of a useful article that would help any new blogger organize themselves. In fact, it seemed like an article that would be bookmarked for later use, something all bloggers hope for. But take another step with me. There’s more to this article outline than just a great blog article. Since I had 9 items each with its own sub-list, the next step was apparent. I treated each top level item, like “Opt-in,” as the subject of its own new blog post. Each topic in the sub-list under that topic would become a subhead in the new blog post. I changed color to salmon and started writing just the headlines of these new blog posts. It was surprisingly easy. Now I have 9 blog posts, and the most difficult part—picking good subjects and deciding what topics to deal with in the article—is already done. Do you see where this is going? With a small amount of thoughtful planning, you can create a system of article generation that will keep you in blog post ideas forever. Yep, it really works. So the next time you get stuck for a topic, don’t despair. And don’t settle for just one article, either. Get out your mind mapping program or even just a pad and a pen and start outlining. Brilliant idea! I don’t know why I hadn’t thought of it myself. All of my best work starts as a mind map but I guess I’d forgotten that over the years! Really useful ideas, Joel! Thanks. I’ve flirted with mind-mapping, now it’s probably time to get intimate. Alicia, that sounds exactly like a mind map. I draw them by hand often when I’m at a talk or presentation, they make it much easier to see the relationships between ideas, and drawing one by hand is quite a bit more flexible than using software. But do give some of the software a try, it’s quite good fun. I’m new to all this. Where can I find your cliff notes (can you tell what a dinosaur I am!?) on mind mapping? Thanks for the ideas. I am starting to write blog posts now for my company and it is tough to get good ideas that my readers can relate to especially since I need articles for both readers and writers. I am gonna try the brainstorming. Love this article, Joel. I think mind-mapping really promotes creativity and I’m often surprised at the ideas that are apparently buried deep in my mind! I managed over 100 blog posts this year, plus a weekly book marketing tip in my weekly newsletter… just when I think I’m going to run out of ideas they emerge from somewhere. I’ll be using this to brainstorm blogposts for 2013, thanks! That’s great, Laura, thanks for the feedback. Mind mapping has saved me many times and it seems to draw those ideas out more readily (for me) than just staring at a screen would. As with television and radio, there is nothing wrong with presenting ‘reruns’ on a blog. Blogs frequently get new visitors who didn’t see posts that were originally published months or years before. Take a look back and see what’s ready to reuse, or needs updating or refreshing. What’s old can be new again, and old is better than nothing. If you need some ‘down time,’ you can even present a BEST OF week. That’s a great point. Once you get enough content, 100+ articles, there is some benefit to having “Re-Cap Wednesday”. Bonus if you can update the content a bit at the bottom, add some follow up. Search engines will see it as fresh content too. Piqued your interest, eh? I could move that one to the front of the queue, Tracy, it’s a great subject for authors who want to use blogging to grow their communities and has lots of implications for the kind of community you build and the relationship you have with them. Feeling my way through working with different people and media outlets has been a bit of a minefield. Review sites and similar usually have written guidelines, but bloggers of various tiers and other media folks run the gamut from expecting a hardcover or ebook, to getting insulted that you offer them a free copy. The same can be said of promotional and co-operative style business transactions. One site’s cross-promotional business proposal is another one’s shady pseudo-bribe-scheme. Buying ad space, asking for an endorsement or even just getting a mention is a pretty tangled web to navigate. It seems to me that this is mostly the duty of the blogger and his/her readers, to produce content that is actually useful and desired rather than coming across as “scammy.” More to come. Thanks, Phil, I’m a big Copyblogger fan, too. Since “discovering” mind maps early last year, I’ve become a big fan, and one of the reasons is the speed with which you can do planning exercises like this one. Rather than staring at a blank screen or piece of paper, creating this mind map was remarkable fast.